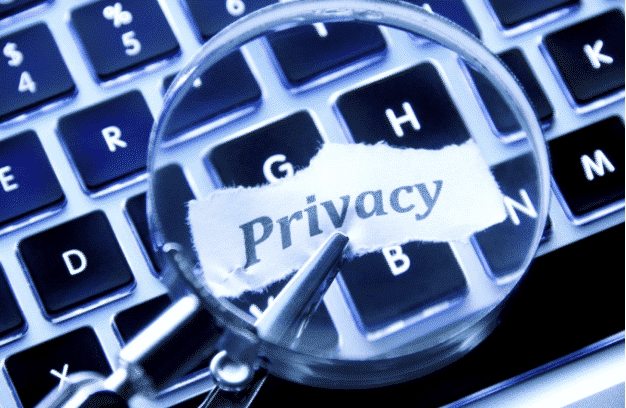 privacy Online Privacy: Free or Paid? Internet privacy is an issue that has gained significant traction over the years. Cybercriminals have increasing control over the hacked accounts of people on the net, including usage statistics, search queries, biographic data, perhaps even access to your WebCam and sensitive files. There are many ways to mitigate security concerns, including antivirus software, secure socket layer technology, firewalls, anonymous browsing, and virtual private networks (VPNs). Unfortunately, security features come at a premium. We may enjoy freebies such as IT support services, free Wi-Fi, and web hosting, but the quality of the service is often compromised, and security is not ironclad. As far as online privacy goes, there are advantages and disadvantages to free VPN services. Straight off the bat, it should be clear that free Virtual Private Networks typically provide PPTP virtual private network service. This is an unsecure format for browsing the web, since the paid providers are the only ones offering services like L2TP/IPSEC, PPTP SSTP, OpenVPN and SSH. These VPN protocols are the only way to secure your Internet connectivity. Regarding free VPNs or paid VPNs go, the better option with VPN protocols is the paid service. A major issue with virtual private networks is connectivity. Connectivity describes the continuous connection to the VPN server. The fewer the number of interruptions, the better the overall quality of the service. Bandwidth is but one of many reasons why VPN connectivity may be interrupted. Too many users will place undue stress on a VPN server, resulting in poorly performing services. Since a paid VPN service limits the number of users to those who are paying for it, it can continually upgrade its servers and maintain premium-quality bandwidth to support uninterrupted connectivity. In terms of customer support, the greater the number of users, the greater the need for support services. Free VPNs simply cannot keep up with the customer support demands placed on the company. Paid VPN services offer a personalized contract between the company and each individual user. Customer support and related operations are significantly better with a paid VPN. Connection speed is another issue that needs to be factored into the equation. Unfortunately, many people use free VPNs. This means that the networks are overloaded. Bandwidth becomes an issue to consider. When too many people are using a service that is freely available, the costs of providing Internet bandwidth rise. VPN servers supporting a huge user base cannot effectively operate for free – meaning that the integrity of the VPN connection speed will be undermined. When hundreds, or thousands of clients are using a free VPN, the demands on the VPN server and the bandwidth capacity grow. Once again, the only way to guard against degradation of the VPN network is to opt for a paid VPN provider. The alternative would be an excellent free VPN service that few people know about. Sadly, word quickly spreads and even the best-quality free VPN services would be overwhelmed. Anonymity of browsing is an issue that needs to be tackled head-on. The reason for using a VPN in the first place is to ensure that your Internet browsing activity is cloaked from prying eyes. Various free VPN providers will not require user information before signing up. Even if this data is required, users can input false data to satisfy the request. Unfortunately, paid VPN providers require payment information, names, and addresses. From this perspective, a paid VPN service is actually disadvantaging the client by requiring sensitive personal information to be input. If government agencies sequester information from VPN providers they will be required by law to hand over client information. This could potentially compromise the client’s security. This is one of the major benefits to using a free VPN service provider over a paid service. It’s not quite that simple since IP addresses are available to the VPN service provider – free or premium. And an IP address is just as good as your name if you’re browsing from your device. Overall, the pros and cons of using free VPNs or paid VPNs will vary according to your preferences. If anonymity is your overriding concern, you may not want to input sensitive personal information when paying for a VPN service. However, with today’s variety of payment options it is possible to use a paid VPN service with relative anonymity and still enjoy all the benefits thereof. Tech experts recommend conducting a thorough analysis of your premium VPN options. For example, NordVPN reviews like the ones found here, confirm what experts have long been saying: The paid service trumps the free service any day of the week. Bandwidth, disconnects, the number of servers in use, customer support and operations, and connection speed are all issues that need to be factored into the equation.